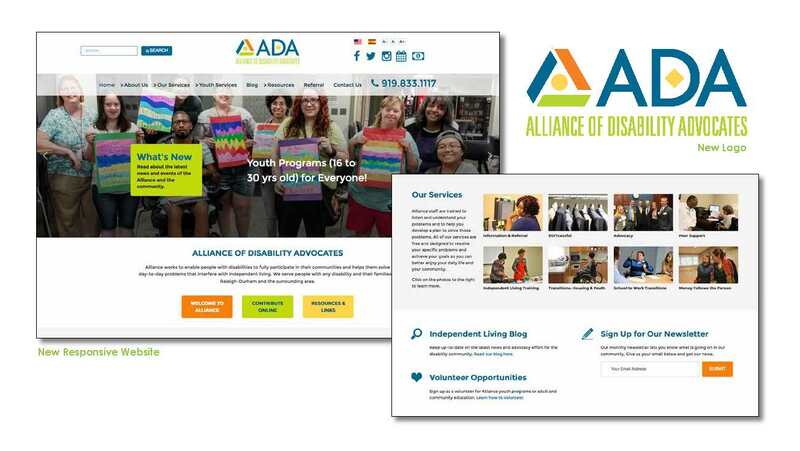 Alliance of Disability Advocates, a center for independent living in Raleigh, NC, recruited a new executive director, Dave Wickstrom, who was charged with improving the organization’s focus, efficiency and market awareness. O’Neill Communications developed a new brand identity including a new logo, situational and staff photography and website design, content and construction for this non-profit organization. 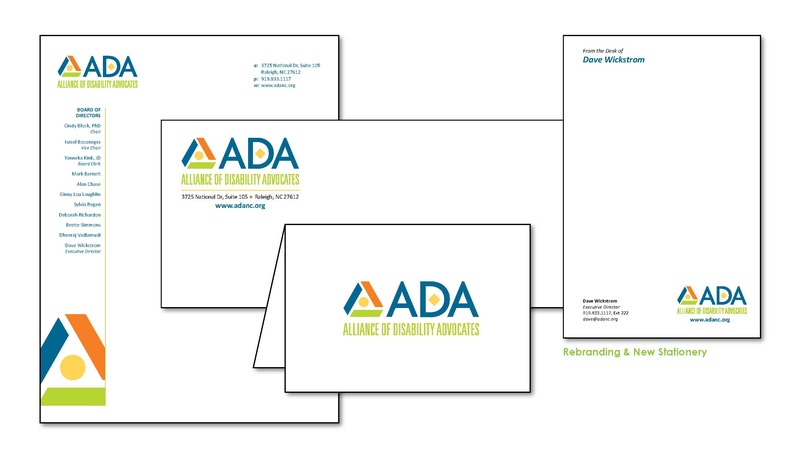 In addition, the firm designed and produced a comprehensive “corporate” identity program and new informational brochures to better promote the organization and its mission. 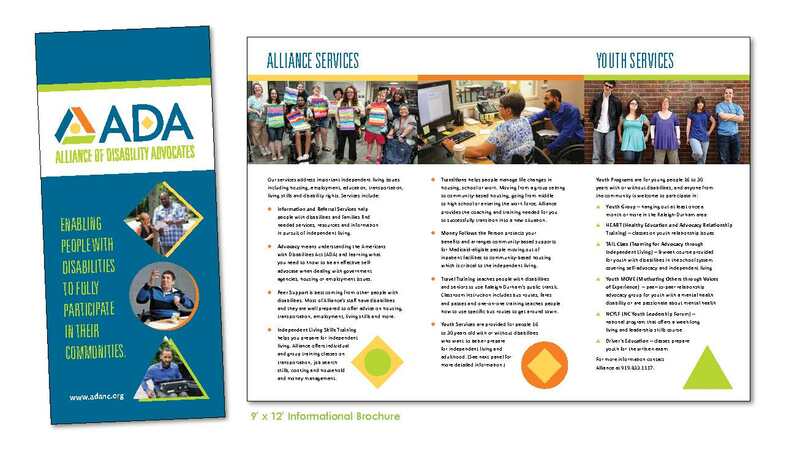 In just 35 days, O’Neill launched a new website that immediately bolstered staff morale, drew praise from its board and now serves as a springboard to connect the organization with its constituents.